Plants – they are fundamental to life on Earth, providing the clean air we breathe, sustenance, medicine, shelter, even inspiration. But how often do we stop to appreciate their significance and splendour? On the eve of the launch of his November 17 combined exhibition, reading and book launch tonight, Between Art and Poetry: New Perspectives on Tablelands Flora, John says we need to rediscover that appreciation for plants in order to forge a better relationship with our natural world. Bringing together his botanical poetry and the delicate botanical art of David Mackay, the exhibition is a celebration of the diversity and beauty of the region’s natural environment. 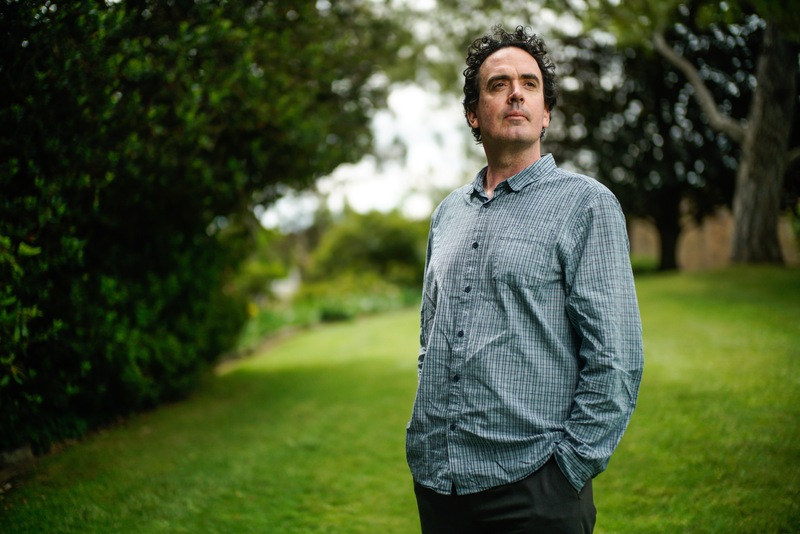 It is also an attempt to blur the lines between science, philosophy and literature – the subject of John’s research. “Science has a power to reduce, to identify and extract,” he said. “But plants are not only an object of scientific study. They have a history and a tremendously long and venerable cultural lineage, and have many moral and social lessons to teach us. A native of the New England of USA, John started botanical studies before discovering a passion for writing and literary research. Following a Masters in environmental philosophy and PhD in literature and cultural studies, he worked in conservation and even as a medical herbalist, but relished extensive walks through the forests of the north-west. “I would walk for 6-7 months continuously, from ecosystem to ecosystem, and become enmeshed in the world of plants,” John said. Bringing a newcomer’s enthusiasm to the New England of NSW in March, he was moved by the story of the Beadle’s grevillea (named for renowned UNE botanist and plant ecologist Noel Beadle) – a species feared extinct and then rediscovered in Guy Fawkes National Park – and revelled in seeing the fleeting flowering of Ingram’s wattle at Dangars Gorge. “I write in direct response to the places I visit and, clearly, we need to better value what we have, to find a balance between development and conservation,” John said. “The loss of plants can entail the loss of a whole succession of other organisms. Ultimately, if plants are in decline, —considering our symbiotic relationships to them— we might risk decline, too. “My poetry tries capture the mysteries of plant life that we can sense but don’t necessarily speak about, because we can’t find the words. John and David will launch their exhibition with readings, music and the launch of two books – The Language of Plants and Plants in Contemporary Poetry – at Reader’s Companion in Armidale on Friday, 17 November from 6 pm. Entry is free and light refreshments will be provided.